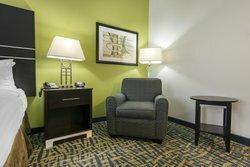 Relax in a hotel room with the accessible features you need. 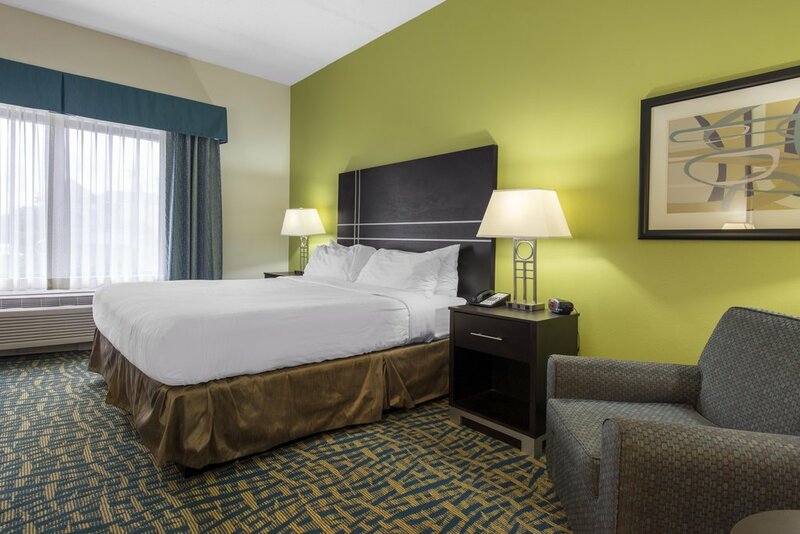 Our ADA King with Sofa Bed room has space for every member of your group to sleep in comfort. 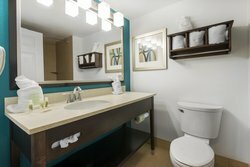 Accessible tub with grab bars and handheld shower wand. Each of our hotel rooms come with our standard convenient amenities. 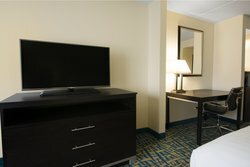 Stay connected with complimentary Wi-Fi and the news on a 42” HDTV. Easily bring takeout back to your room to store in the mini-fridge and reheat in the microwave.